It can happen to us all. But are you prepared if are unfortunate enough to have an accident? 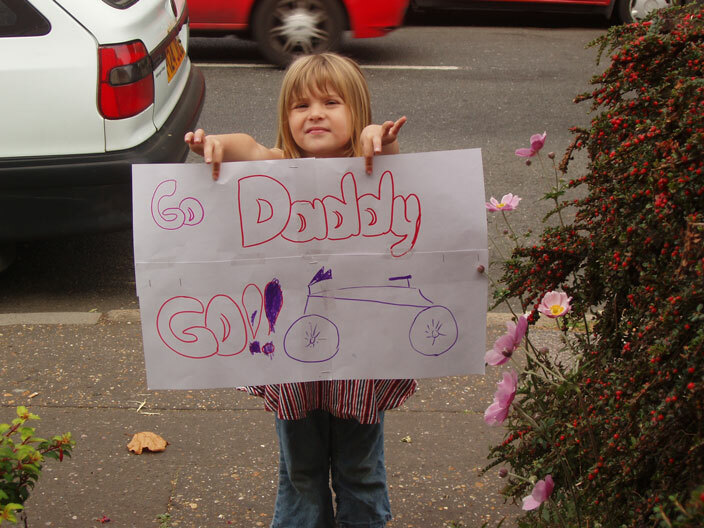 Do you even know what to do (after making sure your bike is ok of course)? BikeRadar spoke to two cycle insurance specialists, Total Cycle Assist and Cycleguard, about their top tips for riders unfortunate enough to be involved in an accident that leaves them with minor cuts, bruises and a bashed up bike. For more serious incidents, attending to injuries is the overriding priority. Insurers like as much detail as possible about the nature of the incident. Using a smartphone, capture some shots or footage of the scene and damage, said Adrian Scott, head of Cycleguard. “If you need to make a claim on your cycle insurance policy, submit a claim form with accurate details of the incident – together with any supporting information, such as photographs of the surrounding area or footage from your helmet camera – as soon as possible,” he said. Sometimes, injuries take time to reveal themselves, said Williams. It’s worth booking a medical appointment to get checked over. “It always pays to get checked out at your doctors or at hospital, even if you feel okay – injuries can materialise after hours or days,” he said. After the dust has settled on the incident – hopefully with no lasting physical effects – Scott advises not entering into correspondence with the third party, as it might affect the claim. 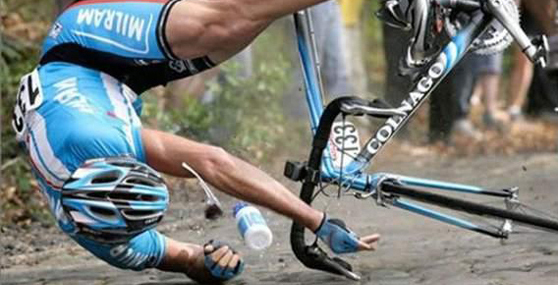 The first call should be to the insurers, not the bike shop. “Don’t attempt to repair or replace a damaged bike without speaking to your insurers first, as this might impact upon your claim,” Scott said. Who is to blame, motorist or cyclist? According to an article in The Times, research indicates that more than two-thirds of all crashes between drivers and cyclists in Central London are the fault of the motorist. The City of Westminster Council found that drivers were to blame for 68 per cent of collisions between cyclists and motor vehicles in the borough in the past 12 months. It found that cyclists were at fault for only 20 per cent. In the remaining 12 per cent of cases, no cause could be found or both parties were to blame. Announcing plans to become a “national leader” in cycle provisions, the Central London borough found that more than a fifth of all collisions between cars and bikes — 21 per cent — were caused by the driver failing to look properly. Another further 13 per cent were caused by motorists driving in a careless, reckless or hurried manner, while 10 per cent were caused by drivers failing to judge a cyclist’s speed or path. A tenth were caused by drivers passing too close to cyclists when overtaking. The research also revealed that there were 133 collisions between cyclists and pedestrians in the past three years. 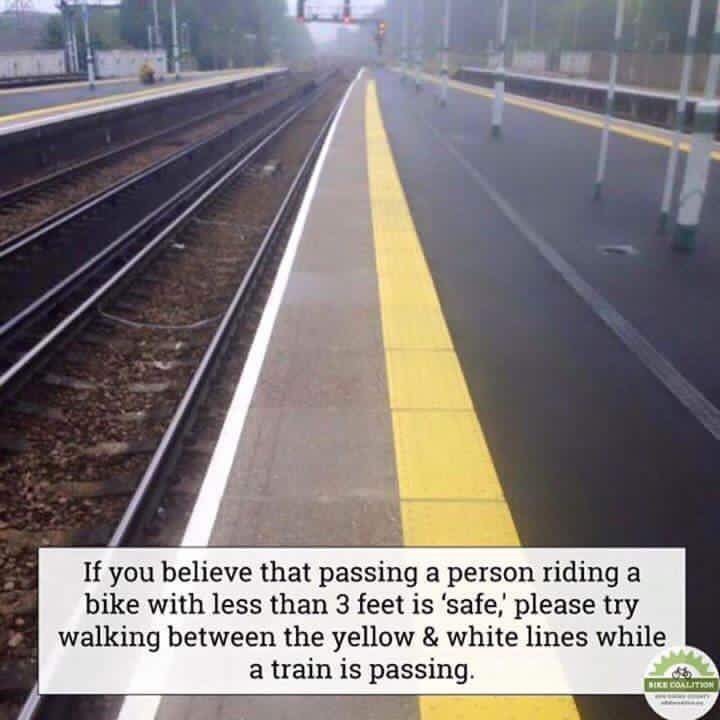 Of these, 60 per cent were caused by the pedestrian, while 40 per cent were caused by the cyclist. About 28 per cent of these incidents were caused by pedestrians failing to look properly, and only 8 per cent were caused by cyclists ignoring traffic lights. Westminster’s cycling strategy has been criticised by campaigners for being too reluctant to reallocate road space for cycle lanes, which would help to reduce the number of cars and tackle congestion in Central London. Keeping your head, hands and knees warm will help you stay alert and relaxed. Cyclists of old used to stuff a newspaper down their fronts to keep out the cold – if you are ever feel in need of an extra layer give it a go as it is surprisingly effective. Keeping your weight as far back as possible reduces the risk of your front wheel sliding from beneath you – at the same time your driving wheel enjoys more grip with a little extra weight over it. 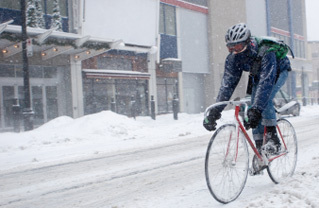 Fresh snow offers a surprising level of grip for cyclists, but beware of slush and areas of ice covered by only a dusting of powder.